The Disneyland Hotel in Anahem, California opened its doors in 1955 as a motor-inn type Hotel. Walt Disney wanted to build a hotel for Disneyland visitors to stay overnight. However, Disney’s financial resources were significantly depleted by the construction of the park, so he negotiated a deal with Jack Wrather and his business partner Maria Helen Alvarez under which Wrather-Alvarez Productions would own and operate a hotel called the Disneyland Hotel. 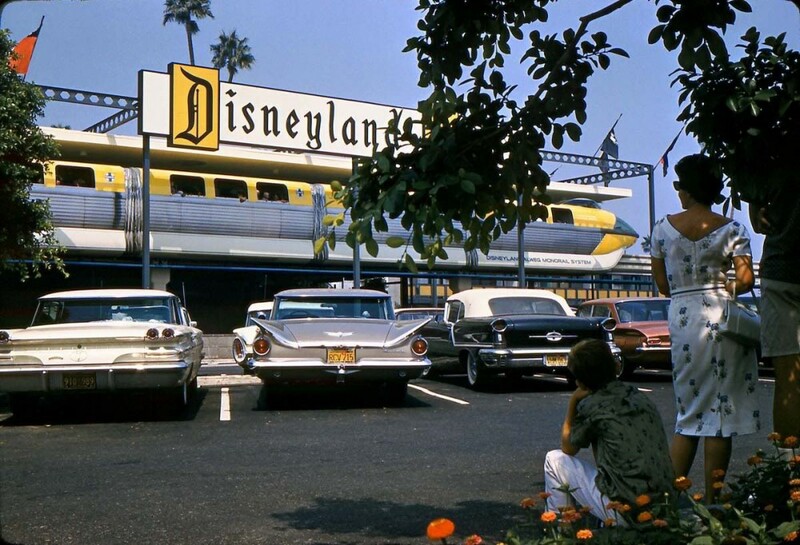 The Disneyland Monorail was extended from its original 1959 configuration and a station opened at the hotel in 1961, so guests could go directly from the Hotel to the park without using the slower tram service. For more Disneyland adventures visit our friends at Stuff from the Park and Gorillas Don’t Blog.